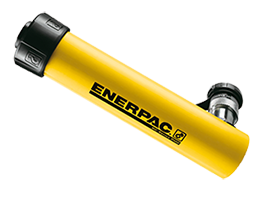 Buy high quality, long-lasting single-acting cylinders from Enerpac, one of the leading hydraulic cylinder manufacturers in the world. 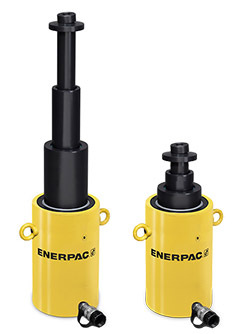 The Enerpac range of single-acting cylinders are available from 5 to 50 tonne, (75 and 95 tonne options available on request). 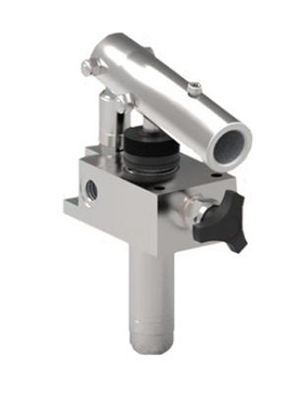 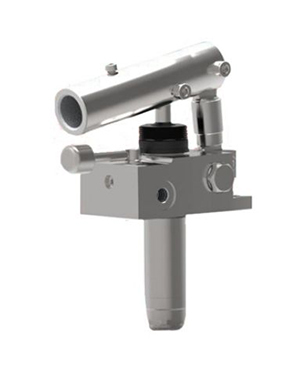 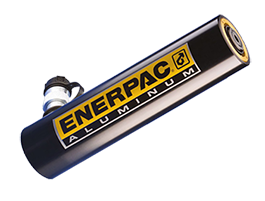 A standard Enerpac single-acting hydraulic cylinder is 700 BAR maximum and can be used with any of our 700 BAR Pumps. 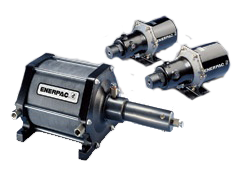 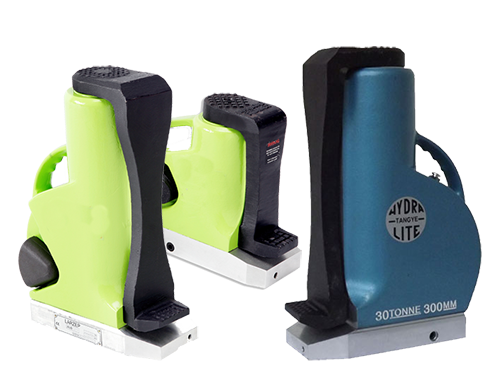 Choose from general use, low height and hollow plunger versions, all with the exclusive Golden ring bearing design offering long, trouble-free operation. 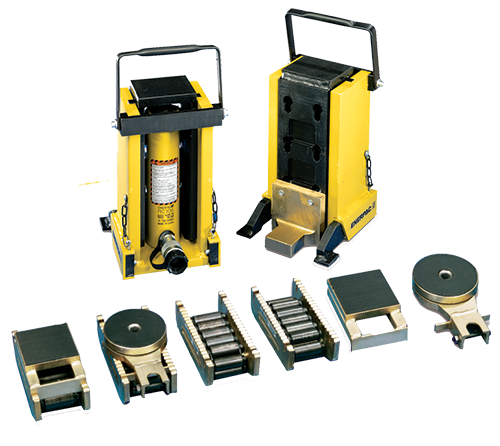 All Enerpac single-acting hydraulic rams have collar threads, plunger threads and base mounting holes for easy fixturing in any position. 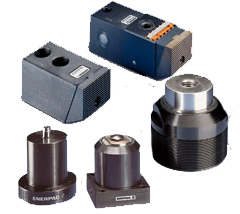 A CR400 Coupling and dust cap are included on all models. 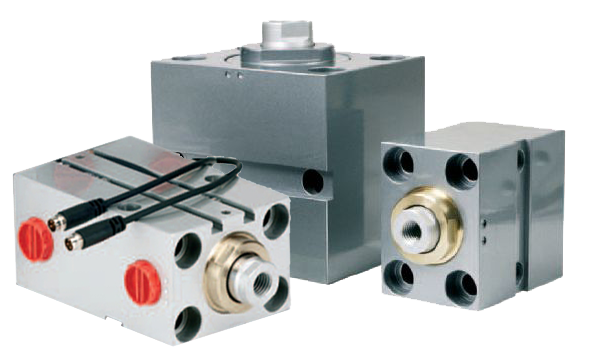 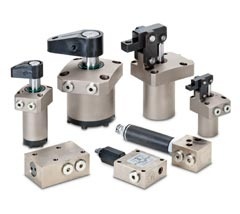 Workholding and Clamping Cylinders Including Swing Cylinders, Block Cylinders and Threaded Body Cylinders. 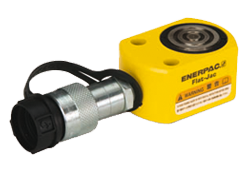 We hold most of the Enerpac range of single-acting hydraulic rams in stock for immediate dispatch. 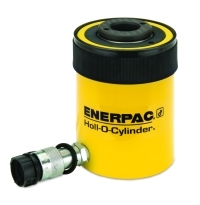 Simply click on the cylinders you require, add them to your basket, pay, and relax - job done!